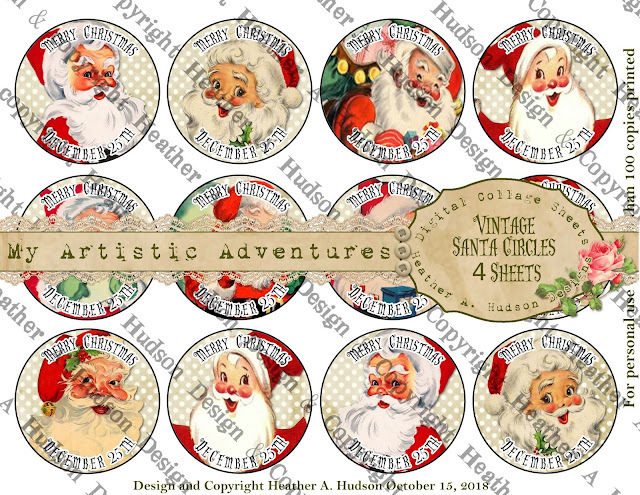 Heather A Hudson: Vintage Santa Christmas Cupcake Toppers or Christmas Card Focals Digital Collage Sheet Sets. Vintage Santa Christmas Cupcake Toppers or Christmas Card Focals Digital Collage Sheet Sets. 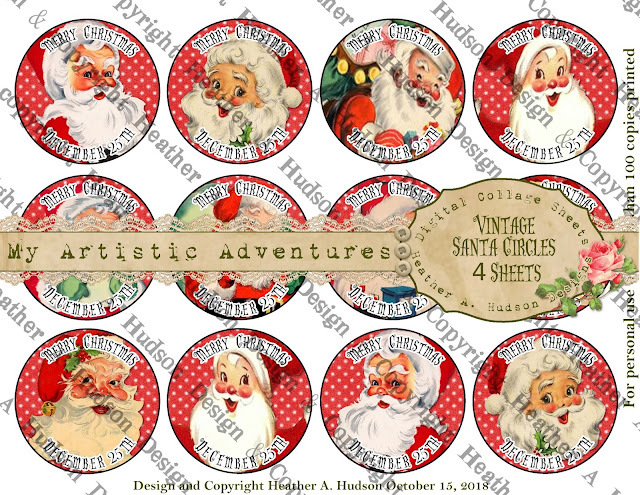 Christmas Digital Collage Sheets to share. You can click on the links to visit my Etsy shop to see the other sizes. Oh now I need these! I see Christmas gift tags! Now I have to get my buns in gear!